This two-hour session is very powerful! 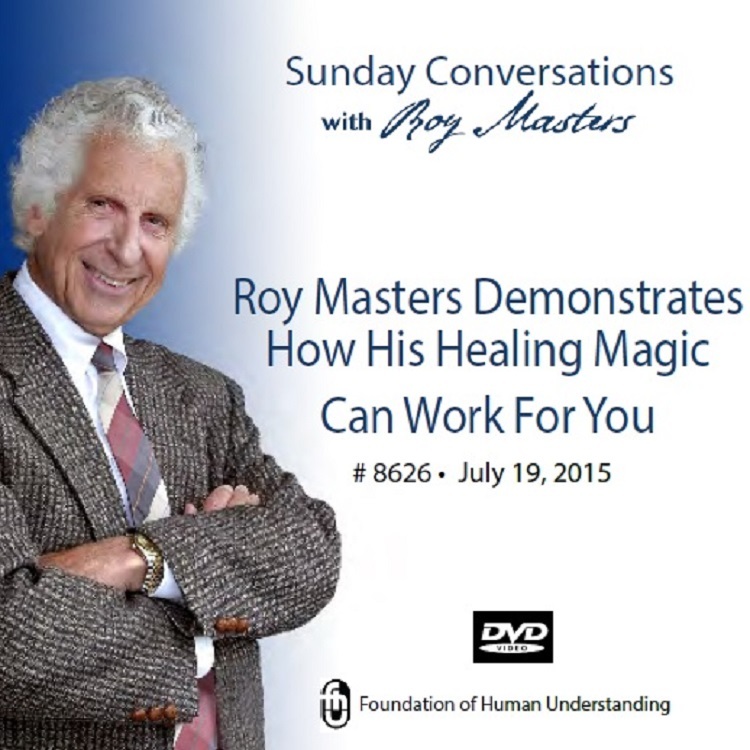 It contains the essence of everything that Roy has been teaching for over 55 years. they are real – watch this! Don’t be concerned about the content – the exorcism is not a disturbing one. back to the origin of resentment. You will soon see this is not about any one person in the audience, it’s about all of us and it’s not so much a talk as it is an experience. You will come away with a different perspective on anger, doubt, love and hate. You’ll hear specific instructions to apply in your own life situations. This is Roy Masters at the height of his powers. What you see here may just be what it takes to turn “an upside down life” completely around. Roy calls this Real Magic. Be a witness to these rare and beautiful examples of Roy’s powerful gifts. All of this from a lighthearted man who offers himself to be for you, "The Grand-dad".